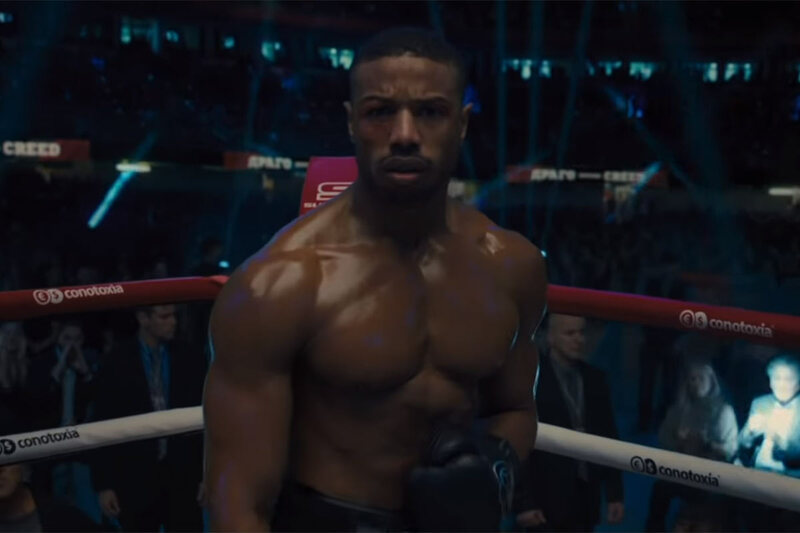 MGM released a new trailer for the upcoming Creed II yesterday, and fans of the newly revitalized Rocky franchise will not be disappointed. 2015’s Creed saw Sylvester Stallone move aside into a supporting role, with Michael B. Jordan stepping into the spotlight as Adonis Creed – the son of the late Apollo Creed who died during the events of Rocky IV. The film was a critical and commercial success and a sequel was soon announced. The new trailer follows the first sneak peek that was released back in June, and shows us a grueling training montage in classic Rocky style, as well as a better look Adonis’ new opponent, Viktor Drago. Viktor is of course the son of notorious Rocky villain Ivan Drago – the man responsible for the death of Adonis’ father. He’s played by the real-life Romanian/German fighter Florian Munteanu a.k.a “Big Nasty”, who stands at an intimidating 6’4″ and weighs 245lbs. Since the events of the original movie, it appears that Adonis has settled sown with Bianca and started a family. He’s also become obsessed with fighting Viktor, despite the advice and pleading from his mentor and the people around him. Reprising their roles along with Michael B. Jordan and Sylvester Stallone are Tessa Thompson and Phylicia Rashad, playing Bianca and Mary Anne Creed respectively. Dolph Lundgren will also be returning to his role as Ivan Drago. Creed II is directed Steven Caple Jr. with the original Creed director Ryan Coogler acting as executive producer. The film is scheduled for release on 21st November 2018.